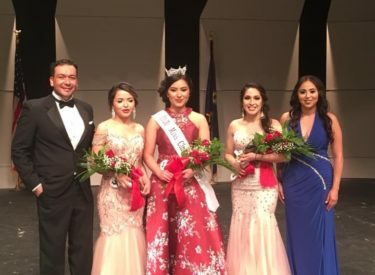 A large crowd packed the Jim Maskus Auditorium at Liberal High School on Saturday evening, May 5th as the community celebrated Cinco De Mayo with the crowning of the Cinco de Mayo Queen. 12 young ladies vied for the title before a packed house. Categories included were: Introductions, Heritage Costume, Evening Wear and an On Stage Question. Folkloric Dancers provided the entertainment throughout the evening. Crowned the 2018 Cinco De Mayo Queen was Amy Zeledon . 1st Runner up was Arlene Ruiz with Maria Cacho as 2nd runner up. Peoples Choice was Arlene Ruiz with Celia Guiterrez winning Miss Congeniality.